The 500GB Samsung 960 Evo is available for $200 today at Amazon, B&H Photo Video, and Newegg. Today's a great day for a deal on some crazy fast SSD storage. 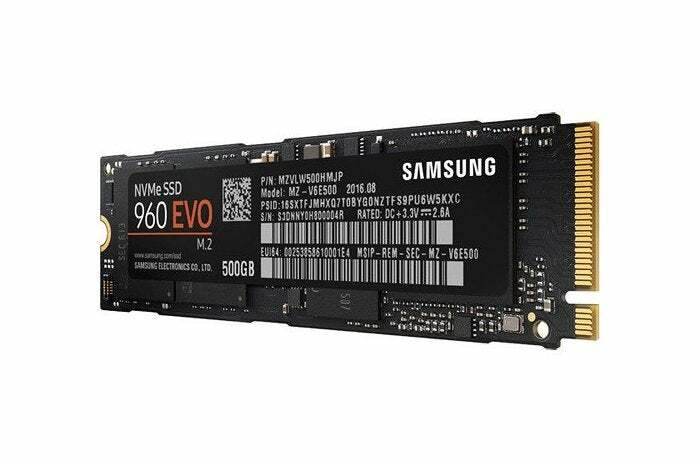 Amazon, B&H Photo, and Newegg are all selling the 500GB Samsung 960 Evo NVMe M.2 module for $200. The 960 Evo features V-NAND flash memory, sequential read speeds up to 3,200MB/s, and write speeds up to 1,900MB/s. We didn't review the consumer-grade Evo variant of this drive, but we did review the Samsung 960 Pro and loved it. The official sticker price discount for this device is $250, but if you look at the CamelCamelCamel history Amazon's most recent price was $225, meaning this is closer to $26 off. We also can't say for sure there won't be a better deal a few days from now. If you look at that same CamelCamelCamel price history, you can see it has headed straight down over the past ten days. That's a pretty short timeline and the price could go down further or jump up again pretty quickly. Right now this is the best price yet for this drive, but that may not be the case a few weeks from now.